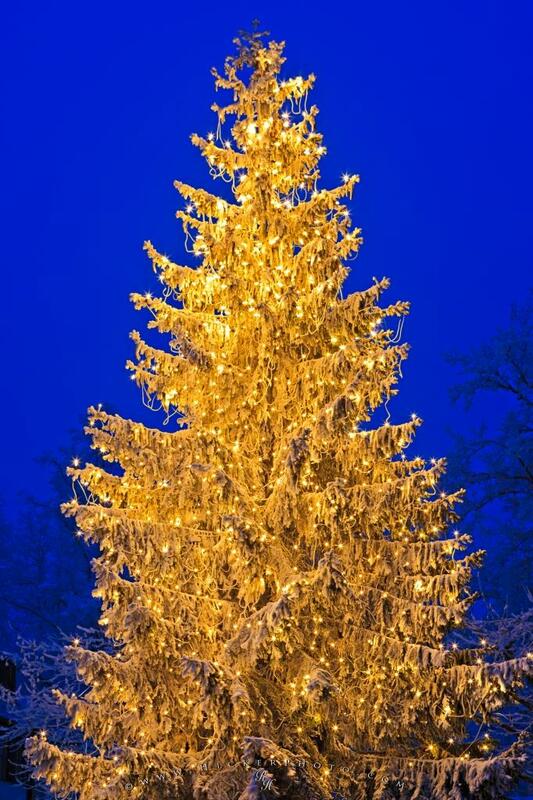 A tree covered in a light sprinkling of snow and shines bright on a cold winter evening in Freising, Germany. On a cold winters day, one single tree stands out at the Landratsamt in Freising, Germany, shining bright as christmas draws near. This picture shows the bright white lights that are strung around the tree and as dusk sets in, the Christmas tree seems to be illuminated against the blue night sky.